Our hope is that our coffee elicits wonder in guests. But, if you’re curious as to the reasons why we swoon over Aida Batlle’s famed Kilimanjaro coffee from El Salvador, the Colombia Cerro Azul Gesha, or our entire menu of Ethiopia washed coffees, the cultivars in each are in large part to thank. Just as origin country and processing method contribute essential characteristics to a coffee, so too do the constituent cultivars. * Familiarize yourself with a few basics, and a deeper appreciation of coffee is within reach. The genus Coffea includes over 120 species of flowering evergreen trees. Within that genus, just two species—Coffea arabica and Coffea canephora—produce all of the world’s cultivated coffee. Arabica and Robusta, as these species are commonly called, produce very different versions. 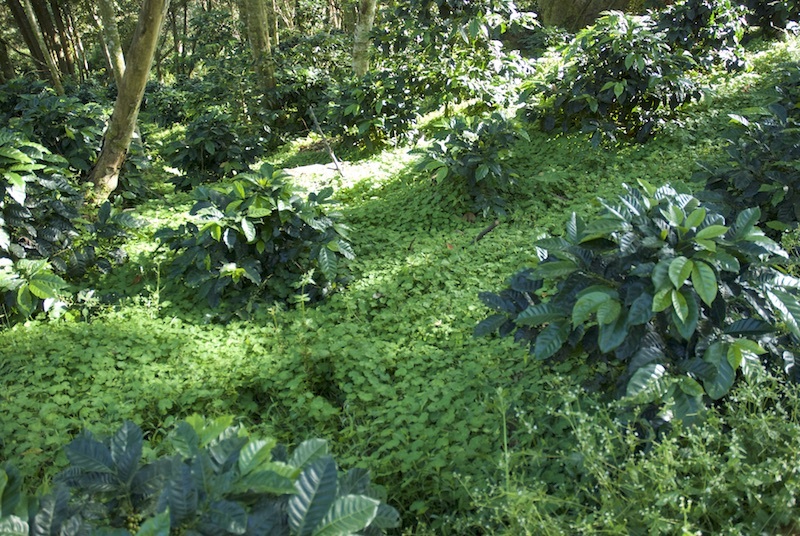 The more finicky Arabica requires higher elevation to flourish and is most often hand-harvested. Yet because of its acidity and lower caffeine levels, Arabica is the preferred species of the two. Robusta is prolific, adaptable, and more disease-resistant; but harsh and acerbic flavors relegate the majority of it to generic coffees and the soda industry’s caffeine source. 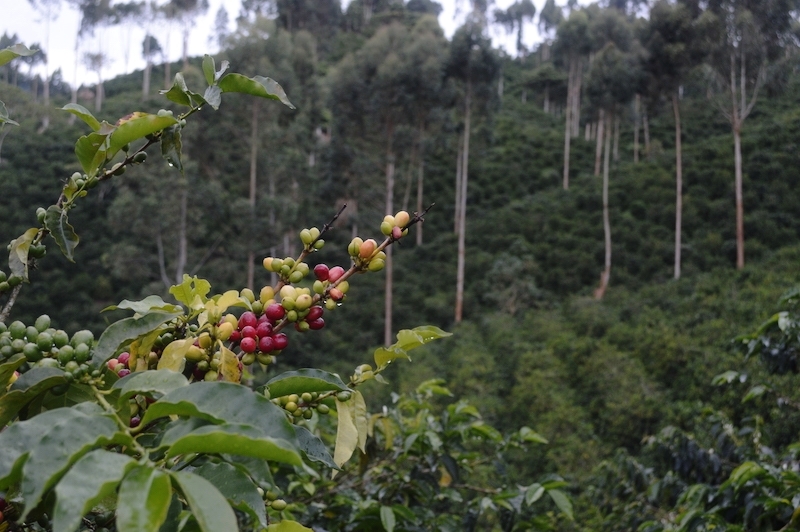 Arabica is endemic to Ethiopia, where thousands of wild varieties grow in the southern part of the country. 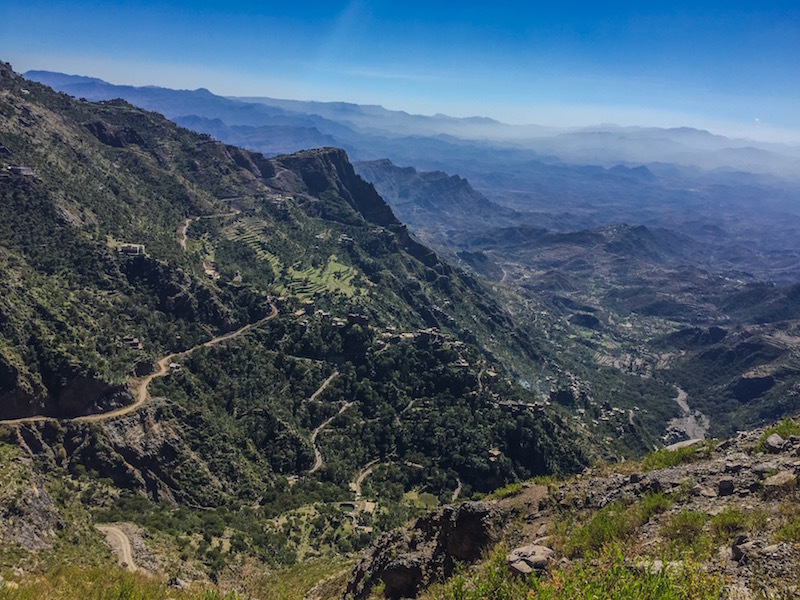 Though the region’s coffee culture began more than a millennium ago, it wasn’t until the fifteenth century, when coffee was transplanted to the Arabian Peninsula in modern-day Yemen, that coffee began to be commercially cultivated. From there, just two distinct mutations became the genetic forebears for most of the cultivars that farmers now grow. That first coffee grown in Yemen is now known as Typica, which in Latin means “ordinary.” Despite efforts to keep the plant's genetics from leaving the Peninsula, traders eventually absconded with seeds of the coveted tree. By the time Dutch colonizers were aggressively capitalizing on coffee’s economic potential, their plantings of Typica were flourishing in Sri Lanka (then called Ceylon), Java and outlying islands of modern-day Indonesia. As Typica spread, local names tied to place came to designate the coffee. For example, Kona coffee is Typica from Hawaii, whereas Blue Mountain is Typica grown in Jamaica. During the reign of Louis XIV, the Dutch gave a Typica tree to the French as a gift. There, in Europe’s first greenhouse built to shelter this precious tree, new cuttings were cultivated. When the French transplanted saplings from the Noble Tree to Île Bourbon (an island off of Madagascar, now called Réunion), an early mutation produced a plant with broader leaves and rounder-shaped fruit. The cherry were more abundant, and the brewed coffee was sweet and complex. With such attributes, the mutation was selected for, and named Bourbon (pronounced Boar-BONE) after the island. Cultivation of it quickly spread to the New World and then to East Africa. Older cultivars that pre-date modern hybridization are exciting because they connect us to an earlier time in coffee’s history. The term “heirloom” is often thrown around to describe these early variations of Typica and Bourbon. Like Brandywine tomatoes, Gravenstein apples, or Concord grapes, part of their appeal is their distinctiveness in flavor and links to a particular geographic origin. The designation “heirloom” also implies that these earlier cultivars are closer to the original bifurcation of Typica and Bourbon on coffee’s family tree. These classics include many of the names printed on specialty coffee bags, like Caturra, French Mission, Pacas, and Yellow and Orange Bourbon. All of these aforementioned cultivars are related to Bourbon, and possess its telltale sweet and rich profile. Many of them are associated with a place: Caturra, for example, is a natural mutation that was first discovered near a Brazilian town of the same name. Its prolific, compact trees were so valued that Caturra is now grown across Latin America. One of the earliest natural mutations of Typica is Maragogype, also from Brazil, first recorded in the late 1800s. Other heirloom cultivars related to Typica (and there are many) include Java, Kent, and Villalobos. In Ethiopia, the wild coffee cherry harvested and processed into coveted single origins are often called "heirloom" or "heirloom indigenous" varieties. The use of heirloom here is a catchall term, and refers to the myriad coffee varieties that flourish, unnamed and largely undifferentiated by outsiders. These, in a sense, are the original heirloom coffees, varying from each village and region in minute but significant ways, growing in the place where Arabica first evolved. Found in no other part of the world, these varieties are the source of the ineffable florality and fruit that define Ethiopia’s best coffees. Unique combinations of them are also the reason why notable differences between proximate regions’ coffees, like Yirgacheffe and neighboring Guji, exist. Think of it like fields of wildflowers: no two bouquets will look alike. In the mid-nineteenth century, a rare hybridization of Arabica and Robusta occurred naturally on the island of Timor: A tree that was a cross between the two species produced coffee cherry that possessed the Robusta’s inherent pest and disease resistance and a modicum of Arabica’s deliciousness. Because coffee leaf rust (a fungus that now decimates coffee farms all over the world) was affecting that part of Indonesia, the hybrid became crucial to farmers. Called Timor Hybrid after the site of discovery, other countries looking for the same heartiness began to grow it, too. Resistance can only get a crop so far; the mediocre-tasting Timor Hybrid was soon crossed with Caturra to produce Catimor, in an effort to improve quality. This cultivar still has many detractors, but specialty farmers are skillfully weaving Catimor into blends, and also figuring out how to coax the most delicious fruit from it—at times stressing the plant intentionally to concentrate its energies into the cherry. Catimor is but one example of the many varieties bred for resistance or productivity. During the mid-twentieth century, advancements in scientific methods led to other cultivars like Colombia, Ruiru-11, and Sachimor. One of the coffee world’s best accidents was the cultivar SL-28. Developed in Kenya by Scotts Laboratory in the early twentieth century, this mix of a local Bourbon cultivar and a wild variety from Sudan was supposed to be a highly productive plant. SL-28 did not accomplish that, but its unique black currant flavor is one of the reasons why Kenya's renowned coffee is unlike any other—juicy and intensely bright. The spindly Gesha has been compared to Charlie Brown’s Christmas tree, but the coffee it produces is in a world of its own: tea-like and delicate. Originally collected from the forests of Ethiopia, Gesha re-emerged in the specialty coffee world in Panama in 2004, when Hacienda La Esmeralda won the Cup of Excellence with a coffee completely unique for the region. Now, producers willing to invest time and love into one of the most finicky cultivars are making coffee that is complex, intensely floral, and utterly distinct. Considering the myriad of genetic variations between wild varieties, it’s remarkable that the entire world’s coffee economy consists of a few dozen cultivars. While there are inherent differences between them, just as there are in Golden Delicious or Granny Smith apples, it’s the convergence of place (soil, air, water), processing techniques, and cultivar that bring a coffee to life. Unlike apples, we’re not eating coffee cherry raw. If we did, distinct cultivars would indeed taste and look different from one another. The manipulative process of transforming the fruit into a drink complicates the impact a cultivar has on the final product. The most beautiful Bourbon tree may produce tasteless coffee if mishandled in processing. The best Robusta can surprise and delight. Coffees that excite us run the gamut from sticking to tradition in the best of ways to iconoclastic combinations of cultivar and terroir. This is exactly why Aida Batlle, a renowned producer in El Salvador, became famous in 2003 when she grew the Kenya cultivar SL-28 in her microclimate of Santa Ana. That coffee opened minds to the artistry of farming, and to the fact that our preconceived notion of how a coffee from a specific region should taste was not fixed, but beautifully, thankfully, open to interpretation. For more in-depth explanations of specific cultivars and helpful visuals, check out the Specialty Coffee Association’s resources. *A word on terminology: In coffee writing, “cultivars”, “varietals” (or “varieties”) are used interchangeably. Botanically speaking, their meanings are distinct. Varietals come from naturally occurring mutations, while cultivars are shaped by the human hand. For simplicity’s sake, we use “cultivar.” More often then not, a person has had a role in shaping the selection of a particular variation.